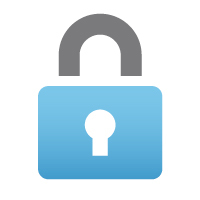 Social media is like any tool – you need to keep it secure. Just as a builder doesn’t leave a site without shutting a gate, you shouldn’t fail to take security precautions with social media. In both the private and the business sphere, social media can be a catalyst of immense damage if hacked. Remember a good reputation can be lost in a tweet or Facebook post. For example, during the week Associated Press was hacked. Its Twitter account proclaimed that Barack Obama was injured after a White House bombing. Idle stuff you’d imagine, only it sparked fear, caused the FTSE to fall by 150 points and in the aftermath of the Boston bombings caused general chaos until the White House reassured the nation it was a hoax. We’re not going to get your backs up here. Social media sites do all they can and spend billions on security – for them it’s an investment. However, with the rise of super hackers you just never know when your own precautions could save you. Simply put, there’s no point having an expensive home security system if you’re not going to lock the door. So, how can you help prevent a hack or security breach? – As crazy as it sounds, the humble password is still the most effective way to prevent your social media sites and other web presences being hacked. A good password should be complex but memorable – perhaps a car licence plate and your daughter’s date of birth. Passwords should also be changed every 2-3 months and you should have a variation of passwords for a number of websites to prevent hacking of a number of accounts. – The HTTPS:// feature should be turned on in your browser for all social media use. – You’d be surprised at the number of people who fail to log off when finished on their machines. Or, that click the box to ensure the browser recalls settings. Even at home on a multi-use computer this should be the same. Remember not all members of your family may be security conscious and could end up allowing your accounts to be compromised. – If you use a smartphone and you most likely do, then make sure that you install an antivirus software program that allows for remote locking, tracking and a smorgasbord of other options. You don’t realise how much of your life is on your phone until it’s gone. – Facebook is notorious for changing its privacy settings and you should try and keep abreast of them at all times. Accounts are not just about being hacked and identity fraud can really be an issue too. The amount of information an open Facebook account can hold and show is scary. Try and follow best practices for security. – Be aware of Facebook apps, anyone can create them and they can potentially phish a lot of information. The same can be said for a lot of smartphone apps – so be careful. Social media security is a two tiered process. Social media businesses need to implement it on increasingly complex levels and we need to be increasingly vigilant and active. After all, it’s for our own good. Rethinking your social media marketing strategy? Get in touch today for an expert advice from MySocialAgency.